More than a century after their founding in 1905, the Industrial Workers of the World--or Wobblies as they are commonly known--remain a popular subject for study and discussion among students of labor history and social justice. They are often portrayed as lovable underdogs, with their songs and cartoons, generally irreverent attitude, and stalwart courage in the face of systemic persecution from vigilantes, law enforcement, and government officials. In Beyond the Rebel Girl, historian Heather Mayer questions the well-worn vision of Wobblies as young, single, male, itinerant workers. While such workers formed a large portion of the membership, they weren't the whole picture. In small towns across the Northwest, and in the larger cities of Seattle, Portland, and Spokane, women played an integral role in Wobbly life. Single women, but also families--husband and wife Wobbly teams--played important roles in some of the biggest fights for justice. IWW halls in these Northwest cities often functioned as community centers, with family-friendly events and entertainment. Women were drawn to the IWW for its radical vision, inclusionary policies, birth control advocacy, and emphasis on freedom of choice in marriage. The IWW also offered women an avenue for activism that wasn't focused primarily on the fight for suffrage. 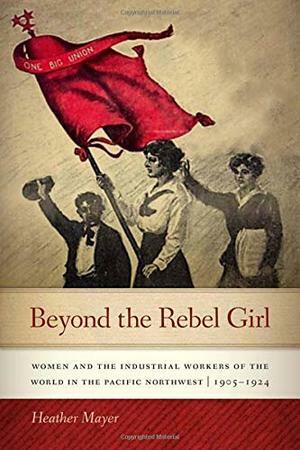 Beyond the Rebel Girl deepens our understanding of how the IWW functioned, and how the union supported women in their fight for birth control, sexual emancipation, and better labor conditions, all while facing persecution at the local, state, and federal levels.